Whether you are building a new house or you are just thinking of replacing the windows and doors on your existing house, picking the right ones is very important. Determining what is best for your home is more than just thinking about your budget. It is also about energy efficiency, aesthetics, security and noise elimination or reduction. Get Rid of the Old – Older windows, such as those that are single-pane or aluminum are not energy efficient. Also, if you notice signs of dry rot or water damage, you should replace your windows and doors. 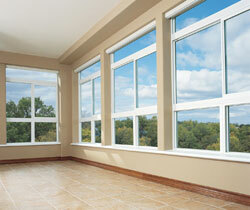 A new set of vinyl windows will eliminate water leaks and even decrease your utility bills. If you want to add more character to your home, there are some stylish options in wooden windows. Do Not Focus on Cost Only – Do not be fooled into “today only” type of pricing deals. Jumping on a hot deal for windows and doors can sometimes means you are getting a sub-par product. Why compromise quality for price? When you invest in quality windows and doors, you save on lower energy bills and greater security, so you still save even with a higher cost. Safety is Key – Look for doors and windows that offer a higher level of security. For example, impact-resistant glass is great if you live in a high wind area. 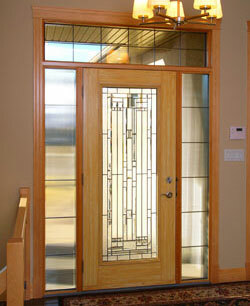 Opting for a solid core door is also important, because it prevents intruders from kicking in the door. Use a Trustworthy Installer – You can purchase the best windows and doors for installation in Calgary, but if you hire an amateur and inexperienced installer, you are not going to get the most out of your windows. Check with the company to make sure they are certified and you may also want to check whether they are premium providers for the window manufacturers, so you do not risk voiding your warranty. Are you thinking about replacing your windows and doors? Great Canadian Roofing & Siding in Calgary offers a team of professional window and door installers. Our process ensures every window and door is safe and most importantly, water tight. Request a free estimate for your door and window installation today. In the event of an emergency, you can call our toll free number 24×7 at 1-877-766-3797.